Let me introduce you to tonight’s maker, Robert Ballentine from Against the Grain. Robert started woodworking much like some, saying “I can make that!”, starting with a sunburst patterned mirror that sold for $300 in the store. 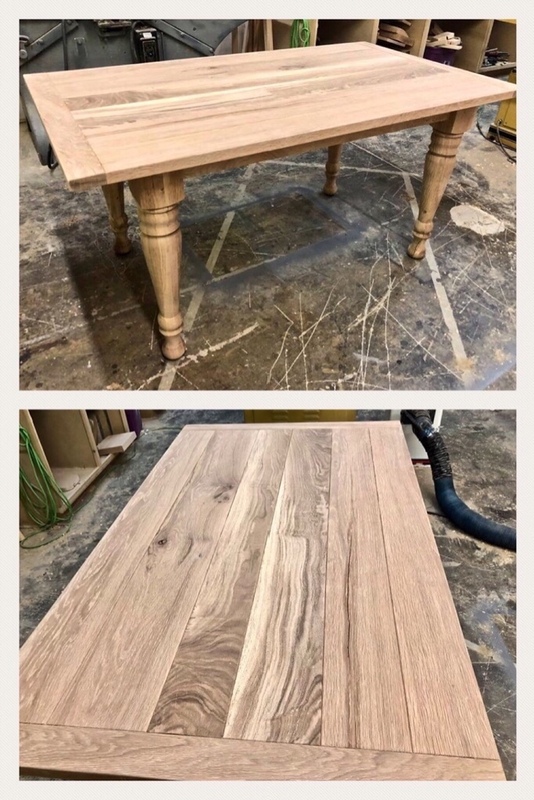 Using his dad’s tools in the basement, Rob turned it out for only $15 in materials! After that he found himself making small tables and items on the side while working in construction. A friend showed him a dog kennel and asked if he could make that. Rob tried his hand at it and soon he was designing and building kennels and working in construction on the side! The building of kennels had snowballed! He quit his day job and began the business with Against the Grain. One day, Rob had headed out to the store when a “No Caller ID” appeared on his phone. Of course he wasn’t going to answer it! Then the funny thing happened- the caller actually left a message! When he listened to the caller, a deep voice informed him that he was Shaq O’Neal and was interested in a kennel. Of course Rob thought someone was playing a prank and when he returned back to his shop his office manager asked if he had checked his email. After several incidences of disbelief on Rob’s part, Shaq O’Neal had to FaceTime with Rob before it was to be believed! Now Against the Grain’s kennels are Shaq tested and Shaq approved! 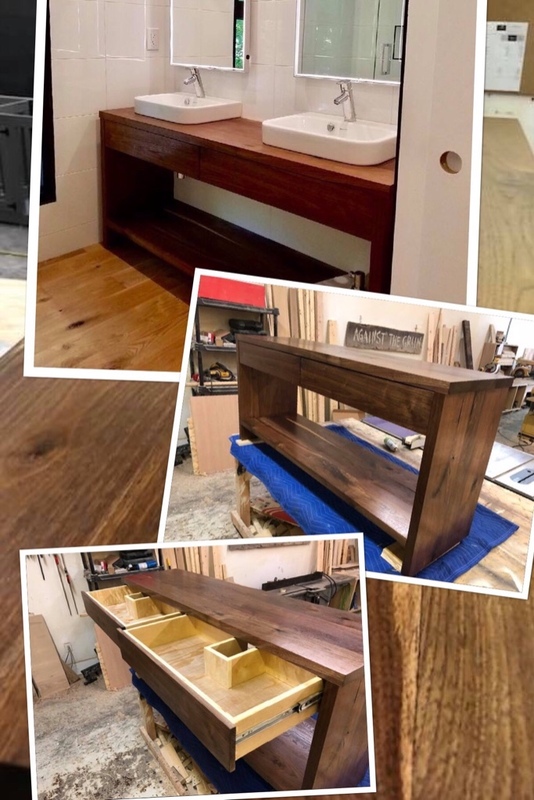 Today Rob’s talents are found creating high-end furniture with a strict attention to detail to create heirloom pieces such as the white oak table and the custom built desk with dovetailed drawers and a white oak top. Of particular interest to me was the walnut vanity. When I looked closely, I appreciated the book matched drawers and it was of particular note the design of the drawers to fit around the sink’s piping. Rob’s company has expanded to construction and home updating. The kitchen update surely has brightened that area, giving it a clean look. 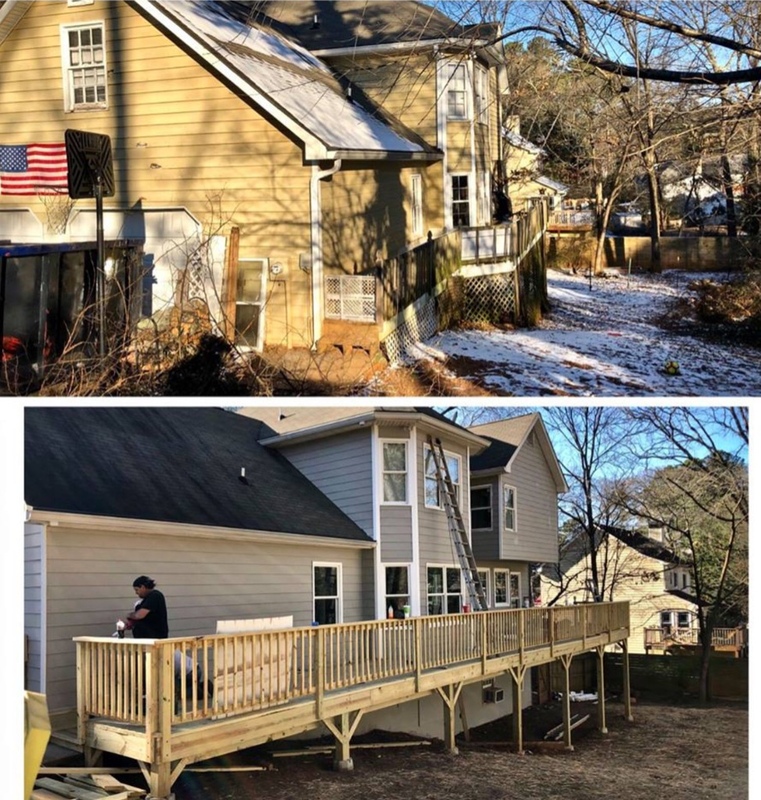 The updating of the deck was really needed and makes such a positive difference.